FREE APPRAISAL. To buy, auction, sell or consign your Pablo Picasso Corrida aux personnages A R 104 that is for sale, please email Nate@NateDSanders.com or call the Nate D. Sanders Auctions (http://www.NateDSanders.com) office at (310) 440-2982. Pablo Picasso’s father was a painter and was his art teacher during his early life. In the span of his career he created over 2,000 ceramic pieces. The Nate D. Sanders auction house is featuring his ceramic piece, Pablo Picasso Corrida aux personnages A R 104, in our January 2019 auction. Bidding begins at $42,000. Pablo Picasso Corrida aux personnages A R 104. Click to enlarge. 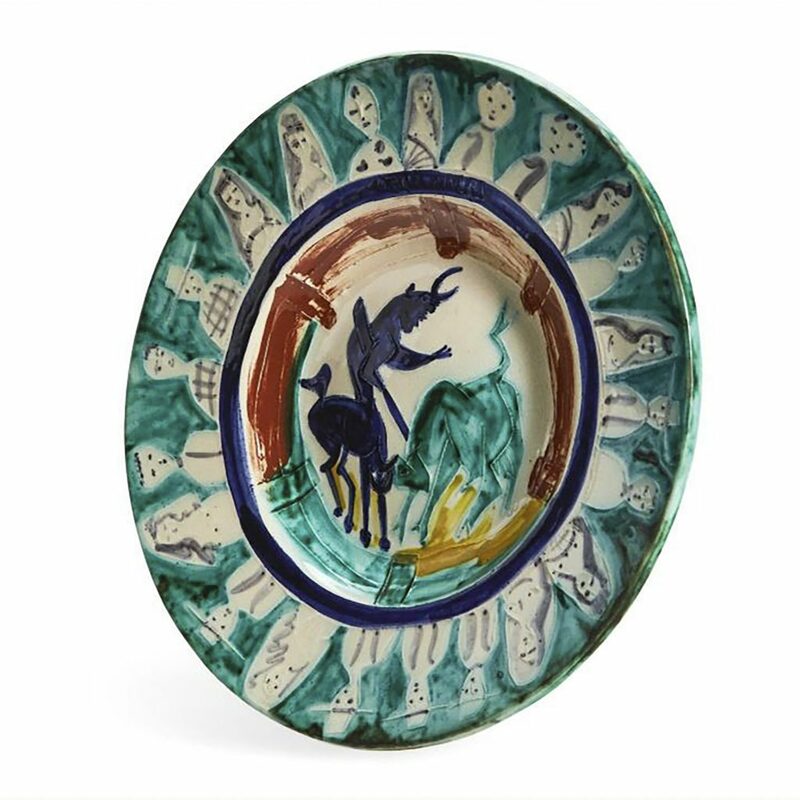 Pablo Picasso terre de faience (earthenware) plate, ”Corrida aux Personnages” created at the famed Madoura pottery studio in the south of France, where Picasso collaborated the last 25 years of his life. 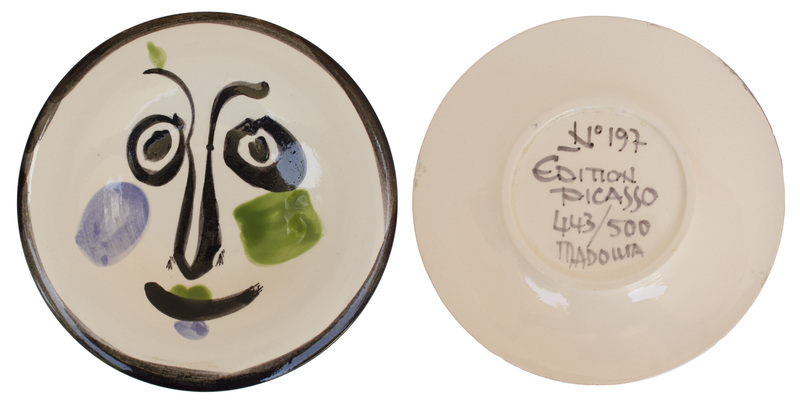 Painted and glazed plate was created in 1950, one of the earlier pieces from Madoura, created in a very small edition of 50, with painting by the master that is unmistakably Picasso. With both the Empreinte Originale de Picasso and Madoura stamps. Measures 15” in diameter. In very good condition with some surface wear to underside. Also some crazing in the glaze and several tiny unpainted and unglazed areas along rim, both inherent to production. Number 104 in Alan Ramie’s ”Picasso, Catalogue of the Edited Ceramic Works, 1947-1971”. Bidding starts at $42,000. Pablo Picasso Visage 197 Alain Ramié 494. Click to enlarge. Pablo Picasso Terre de faience (earthenware) plate, “Visage no. 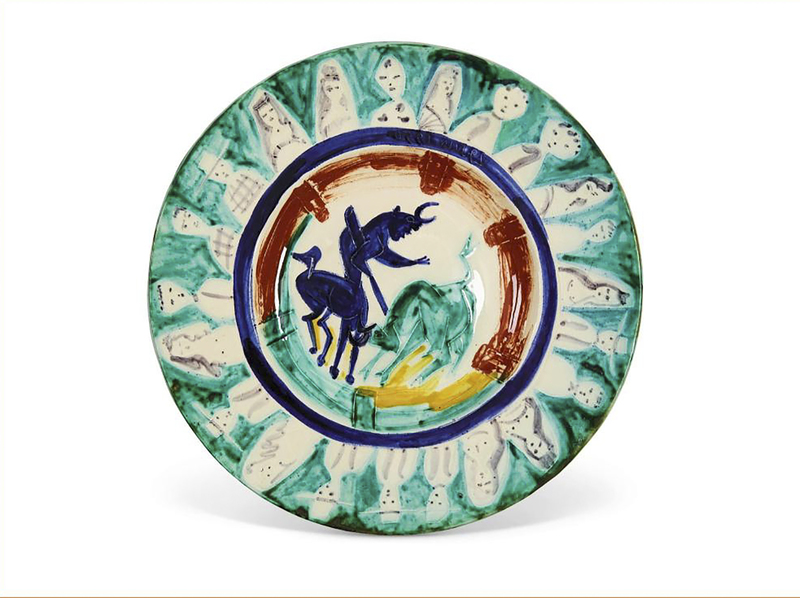 197” created at the famed Madoura pottery studio in the south of France, where Picasso collaborated the last 25 years of his life and created often playful pieces. 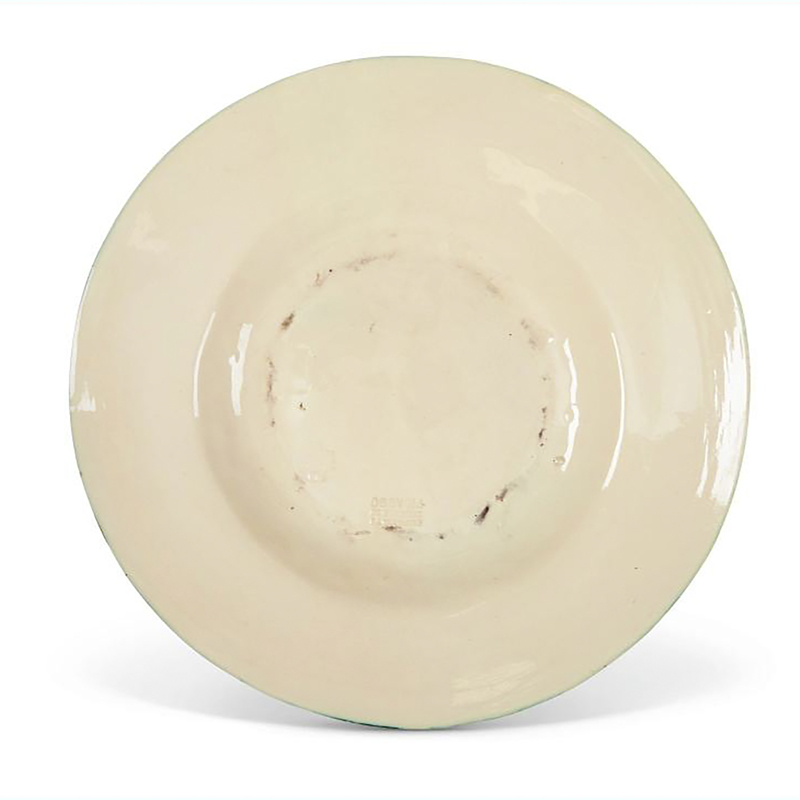 Plate glazed in colors was created in 1963, numbered 443/500 and inscribed “No. 197 / Edition / Picasso / 443/500 / Madoura”. Measures 9.75″ in diameter. In very good plus condition with a few very small, nearly imperceptible scratches to the glaze. In literature: Alan Ramie 494. Sold for $13,500. FREE APPRAISAL. To buy, auction, sell or consign your Pablo Picasso Corrida aux Personnages A R 104 that is for sale, please email Nate@NateDSanders.com or call the Nate D. Sanders Auctions (http://www.NateDSanders.com) office at (310) 440-2982. Please let us know if you have any Pablo Picasso art that is for sale. Top dollar obtained for your Pablo Picasso Corrida aux personnages A R 104.